Looking for ways to entertain small children this fall? 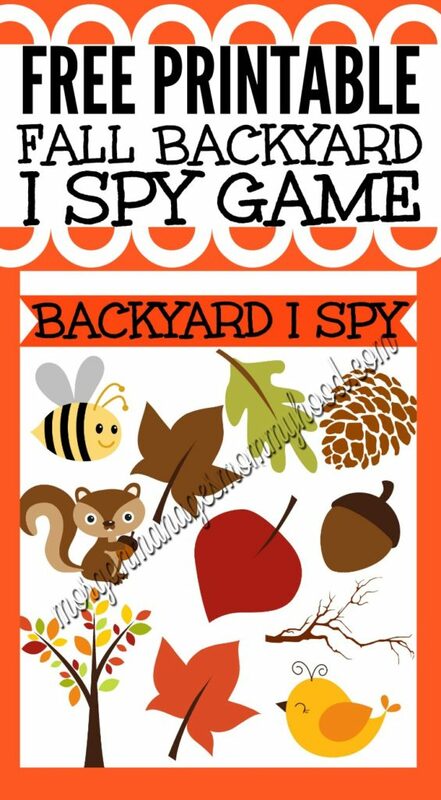 Check out my fun Fall Backyard I Spy Game printable and teach your kiddo all about the different sights of the season! I mentioned yesterday that this will be the week of FALL to celebrate the fact that my favorite season officially begins on Thursday so everyone can stop making fun of me for ‘celebrating’ early. 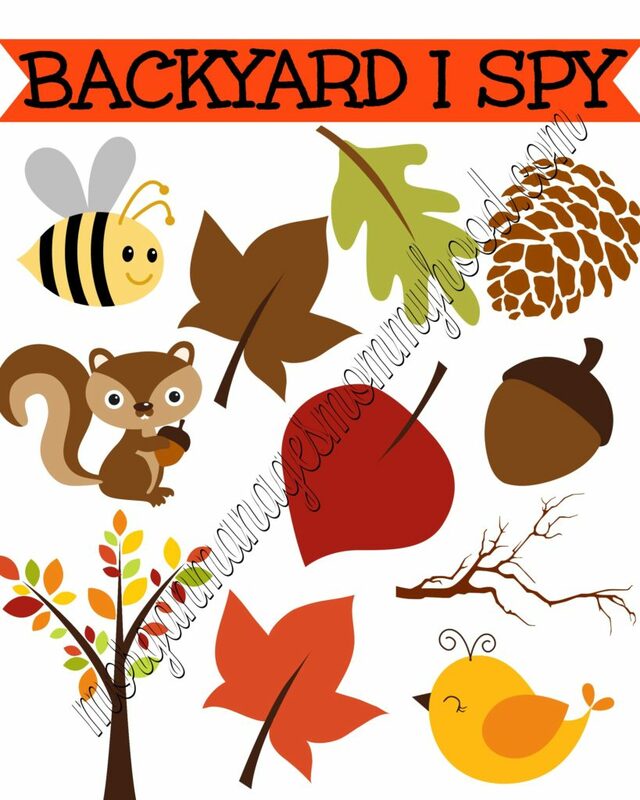 So this week you can expect a whole week of fun fall posts, starting with this backyard I spy game printable that you can play this fall with you kiddos! If you’re a regular reader, you know that Ryan loves being outside – he’s a total maniac and will runrunrun all day long if we let him in our backyard. At 2, we’re working hard to develop more words and vocabulary for him, so one of my favorite things to do with him is to name objects and have him point them out to me – it helps him build an understanding of what different words mean and more often than not after a try or two he’ll make an attempt at saying the word himself, a bit win for this stubborn boy. This game has been a total win lately – it combines both of our favorite ‘games’ in a way that allows us to hang out together while enjoying the fresh fall air. Bring this fun printable outside and have your little one show you each of the items, from a squirrel to a red colored leaf to a stick. We even took pictures on my phone of each of the items and then later in the day I showed him the photos again to remind of him of all the different things we had found earlier that day. I think it would also be a lot of fun to laminate it and then use a dry erase marker to cross off all of the items you find, wiping it off when you are done to play another day. 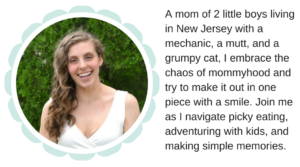 Sign up for FREE fall printables! To get this fun game, just fill out the form above and you’ll be sent the free download! 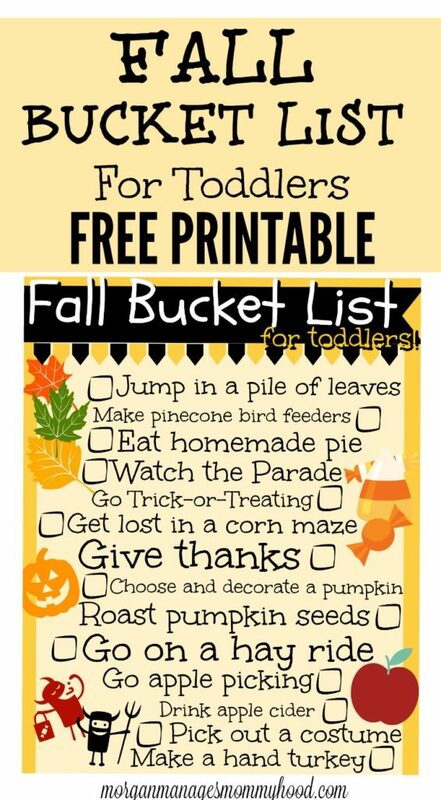 In the email you’ll also get a link to download my fall bucket list for toddlers printable! Okay, so tell me – what your favorite fall activity? Any fun games you like to play with your little ones? Let me know in the comments! How much fun! My little nephew would have a blast with this. Hope you are having a good week. So this looks really fun! I should show this to my sister, cause I think she would love doing this when she babysits! So cute! Is there a link so that we could print it? Cute! I’m all over games that require searching for things in hopes that my 4 year old will get better at actually looking! lol Thanks for sharing. 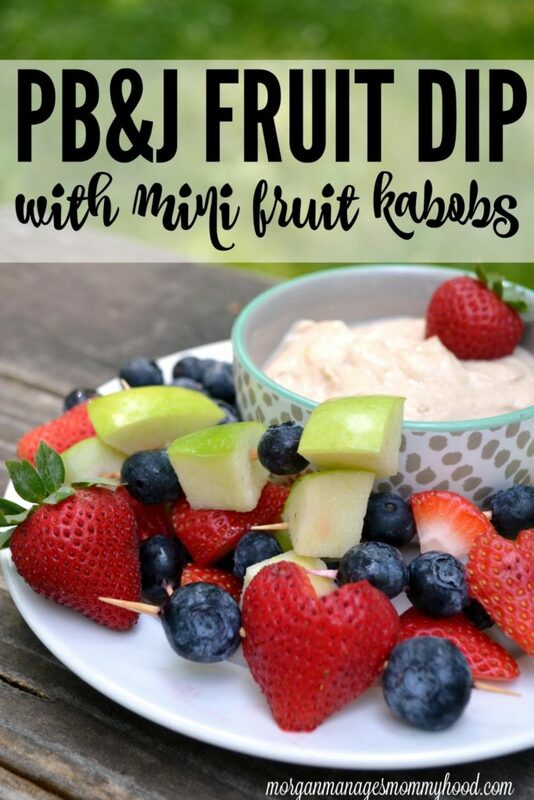 My 3 yr old would love this activity. Thanks for sharing.